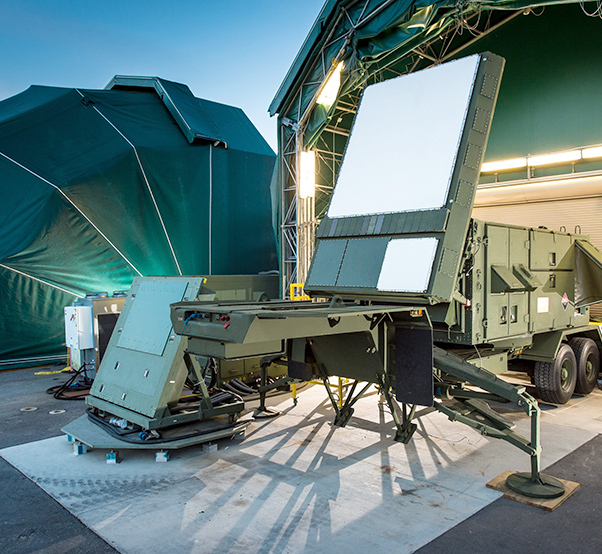 Raytheon’s newest integrated air and missile defense radar has been busy since its debut at the 2016 Winter AUSA tradeshow. The gallium nitride-powered Active Electronically Scanned Array proposed upgrade to the Patriot™ Air and Missile Defense has surpassed more than 1,000 hours of operation in just over a year, which is half the time of a typical testing program. 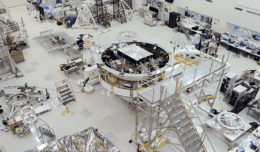 During the course of the 1,000 hours, Raytheon’s GaN-based AESA prototype radar routinely demonstrated 360-degree capability by working together with a second GaN-based AESA antenna that was pointed in a different direction. As targets flew out of one array’s field of view and into another, the two arrays seamlessly passed information back and forth, tracking the target continuously. The main array also detected and tracked tactically maneuvering fighter jets and thousands of other aircraft. Raytheon’s GaN-based AESA radar will work with the Integrated Air and Missile Defense Battle Command System and other open architectures. It maintains compatibility with the current Patriot Engagement Control Station and full interoperability with NATO systems. A number of current and expected future Patriot Air and Missile Defense System partner nations in Europe and Asia have expressed interest in acquiring GaN-based AESA. Poland submitted a Letter of Request for GaN-based AESA Patriot on March 31. Raytheon’s GaN-based AESA technology also meets Germany’s requirements for the German Taktisches Luftverteidigungssystem, or TLVS, tactical air and missile defence system.